Most rescue techniques sound simple enough…until you try them yourself, right? Take signaling with a rescue mirror, for instance. 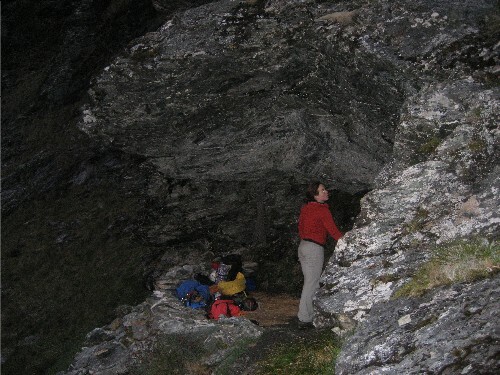 Most people know that you can use a mirror or another bright object to signal distress and attract the attention of rescuers. But what if you don’t know how to aim your little rescue mirror? Well…here are two great videos that demonstrate the technique. Besides using regular mirrors or shiny objects to attract rescue, you could spend about $10 and buy an actual rescue mirror that has built-in sighting and aiming aids. Even if you have one of these with you when you need to use it, you still should practice ahead of time to make sure that you actually know how to do it. Click here to watch a video about the SOL Rescue Flash™ Signal Mirror that explains how. Many other rescue aids besides mirrors exist. 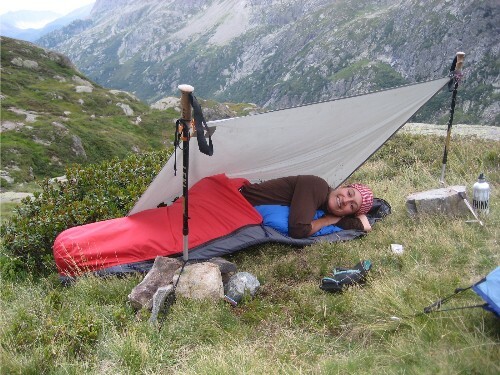 Both visual and auditory methods can help you attract attention if you need to be rescued in the backcountry. Knowing communications conventions, such as arranging visual signals in threes, can help you communicate more effectively. Want to know more about signaling for rescue? This morning, I woke up to fresh snow on the ground here in Vail, Colorado. A few early-season snowstorms have already dusted the peaks white, but today was the first morning when it actually stuck on the ground. It was a wet snow, one that likely won’t last for long once the sun comes out, but the first snow marks the seasonal change for me: beginning of winter!! In the last few weeks, aspen trees have marked another important seasonal change: the end of autumn. First, their leaves explode with color–fluorescent greens and eye-popping yellows. And then their leaves drop to the ground, leaving behind only naked, ashen branches. 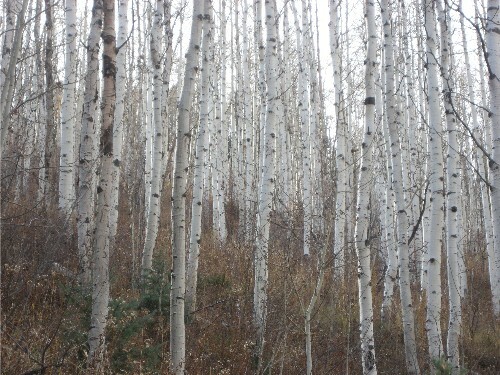 Something about these bare aspens strikes me: their beauty. 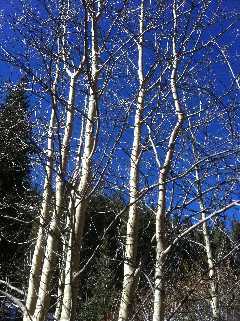 Long slender trunks, white, and the now-colorless branches look like they’re inviting white snowflakes to join them. 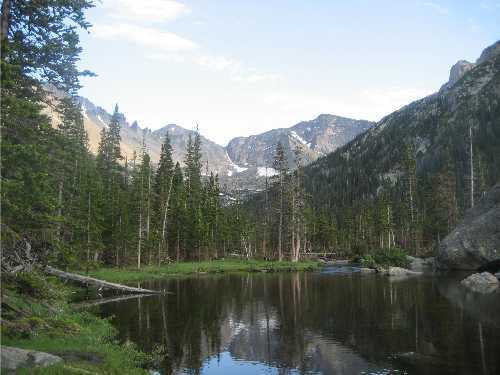 Besides simply being beautiful, aspens also have a function: natural sunscreen. Really? Yes. 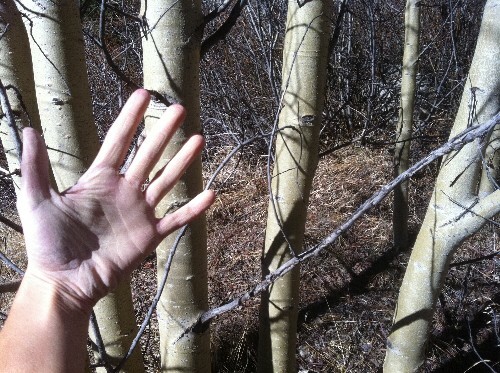 If you walk up to an aspen trunk and rub your palms along it, a powdery white substance will stick to your hands. If you then rub this powder on your face and arms, it will protect you from the sun’s harmful rays. So…it only has a SPF of about 5, but–hey–who can complain when nature give you a free gift? Want to know more about natural sunscreens and sunburn treatments? Photo © Traci J. Macnamara. What’s camping without a fire? 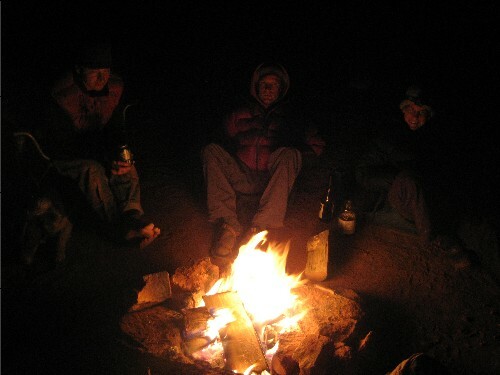 Of course, fun friends and outdoor adventures make good times, too, but the campfire is the place where people come together and where stories get shared. 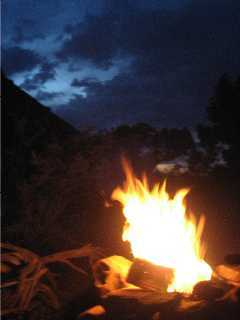 Desert campfires are among my favorite memories…the smell of juniper branches burning is a smell like no other. 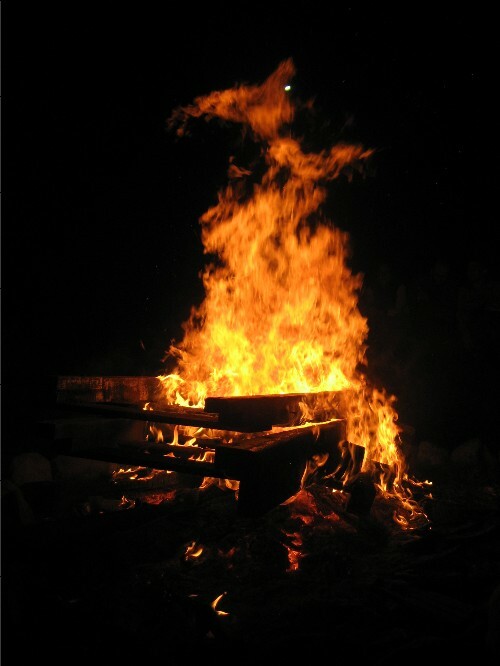 But I’ve also enjoyed some other good fires over the years. 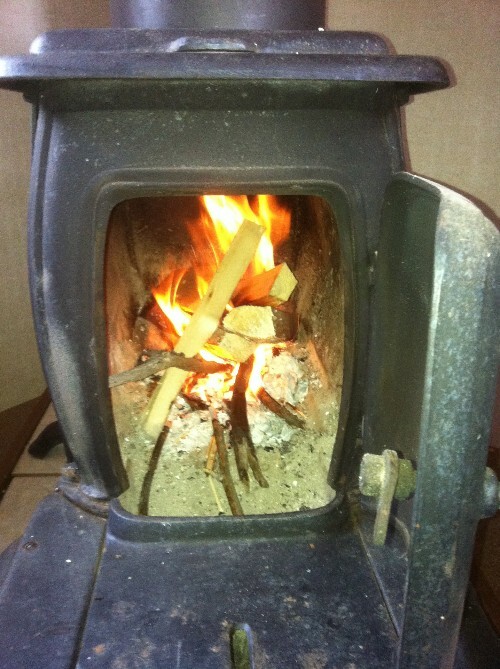 Even a good stove fire needs tinder and kindling before it gets going. I normally use shredded paper (if I have some), dry pine needles and twigs, and small wood chips as tinder to get this stove going. I pile tinder underneath a kindling pyramid and light the tinder at several locations with a match. 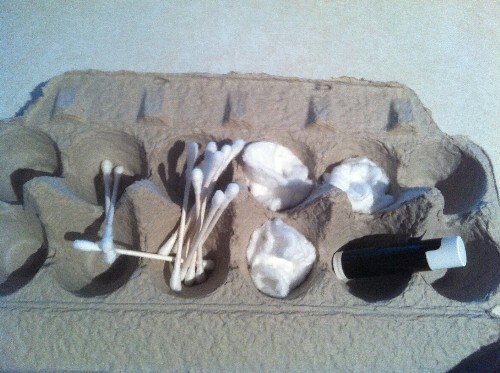 It’s also possible to make improvised tinder from petroleum-based lip balm, insect repellent, hand sanitizer…and a slew of other things. But no matter how you get your fire going, you’ll appreciate it when it’s radiating warmth–whether the fire’s heat keeps you from freezing to death or whether it creates a nice atmosphere on your next starry night out. Want to know more about tinder? 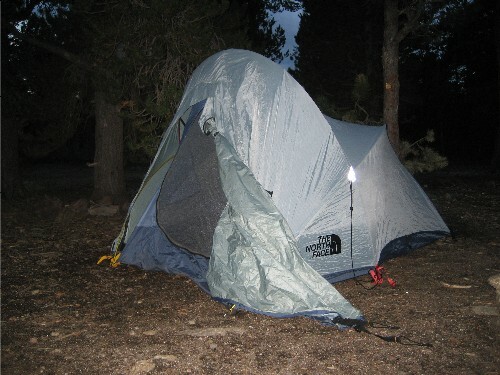 I went through some photos of nighttime adventures and found several in which the moon’s light made either the nighttime more enjoyable or nighttime navigation more possible. 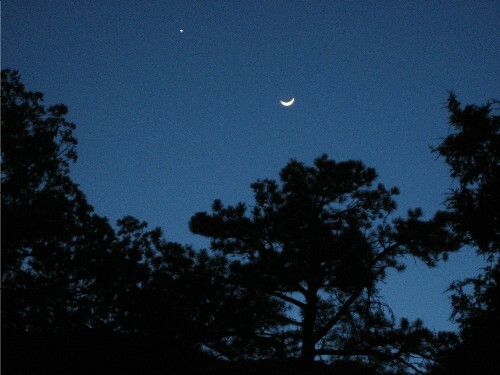 Upper left and below, I took a photograph of the crescent moon at Penitente Canyon in Colorado’s San Luis Valley. Penitente is a nice rock climbing area, and I spent the evening of this crescent moon camping out with a friend, cooking under the stars. I probably like crescent moons more for their beauty than any other type of moon. 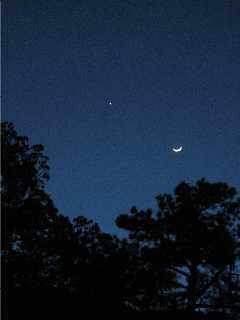 Full moons are nice because they offer a lot of light, but crescent moons are just cool. 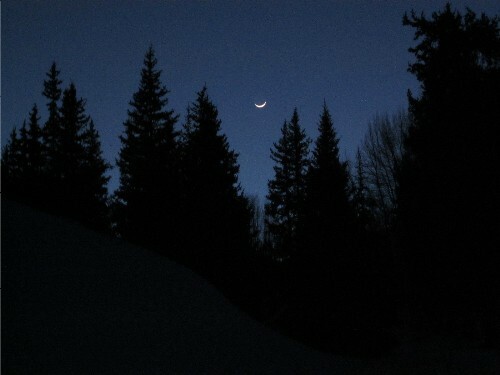 I took the photo of the crescent moon below on the border of Colorado’s San Isabel National Forest, near Leadville. 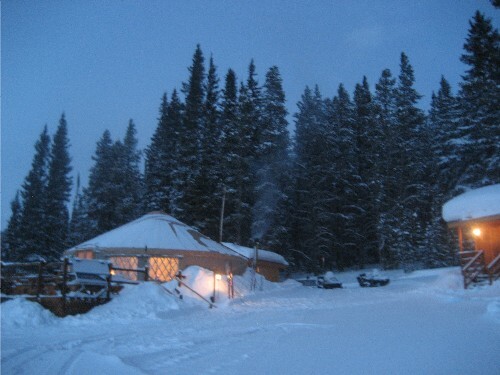 As I lived in a backcountry cabin in this area for four months, I often relied on the light of the moon to guide me home. Want to read more about the moon and navigation?